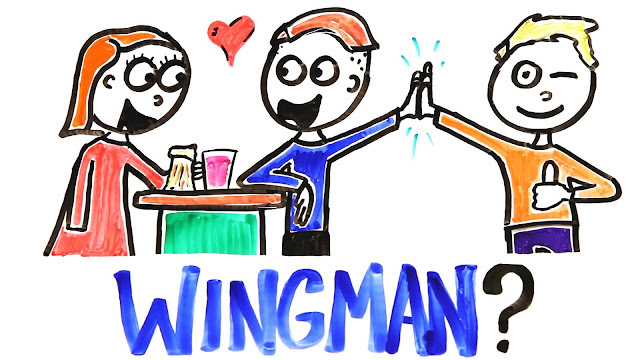 The role of the wingman is one of the most fabled in stories of how many men meet their other halves. The charming wingman does a lot of the legwork, including keeping friends occupied and embellishing stories, presenting the opportunity for the man to come and sweep the lady of her feet. Movies like Hitch have done a lot to popularise the idea. However, a new service is making it possible for men (and women) to get paid for providing this service. An online marketplace has launched the first professional 'wingman' service for people who would like help in the world of dating. Research shows that 1 in 5 relationships now start online but 12% of people still meet their spouse at a bar or other public areas. Members of the public can apply to work as a real-life ‘Hitch’ and will be expected to accompany clients on nights out to clubs, bars and other social events. It’s expected pros will earn upwards of £30 an hour. The service is provided by Bark, a site where members of the public can find and connect with local service professionals, but as with all Bark.com service providers, they can set their own prices.